These days, small cars aren’t getting much respect — but the 2018 Hyundai Elantra car is out to change all that. For one thing, it isn’t all that small. 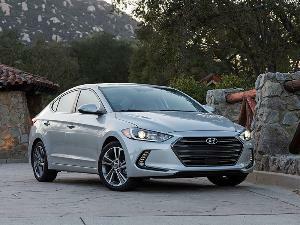 Elantras are available in sedan and hatchback body styles, but the hatchback Elantra GT is in essence a different car than the Elantra sedan. Both offer more than reasonable interior space. Because of that substantial interior room, the Elantra is classified by the EPA as a mid-size car, even though by price it typically competes with compact cars like Chevrolet Cruze. The interior space is nice, but these days Honda Civic and Toyota Corolla — two iconic “compact cars” — are classified as midsize, too. So to go them one better, the Elantra GT is classified as a large car. J.D. 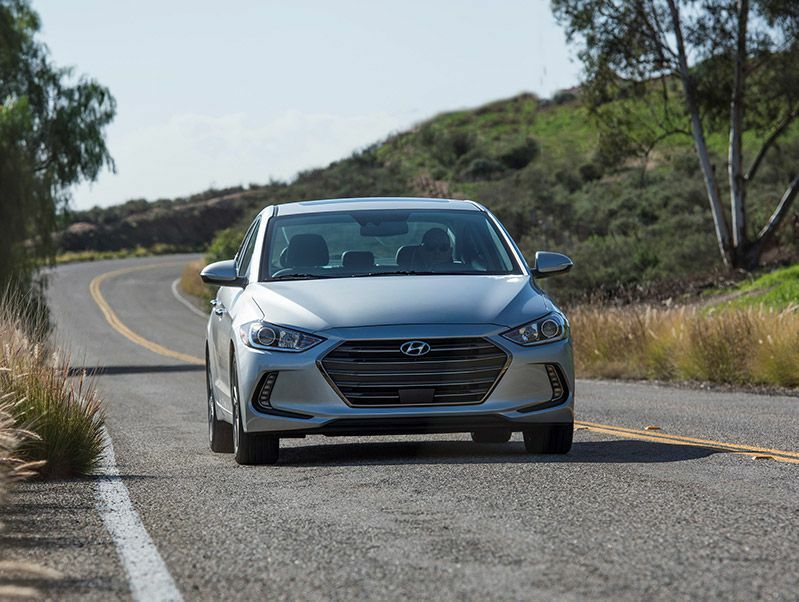 Power gave the 2018 Elantra its highest marks for Overall Quality while it gets a three (out of a possible five) in Predicted Reliability. For those seeking a sporting small car (OK, “large car”), Hyundai offers the Elantra GT. That means that it expects the Elantra sedan to be purchased by those of us who prefer comfort and quiet to cornering thrills. At that, the Elantra excels. 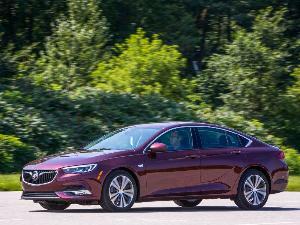 Squaring off the sedan’s 147 horsepower against its nearly 3,000-pound curb weight does not yield rocket-like acceleration, but there's more than adequate performance for around-town and highway driving. There are cars in the segment that are more fun to drive, but few can match the Elantra’s comfort, quietness, and steadiness at speed. 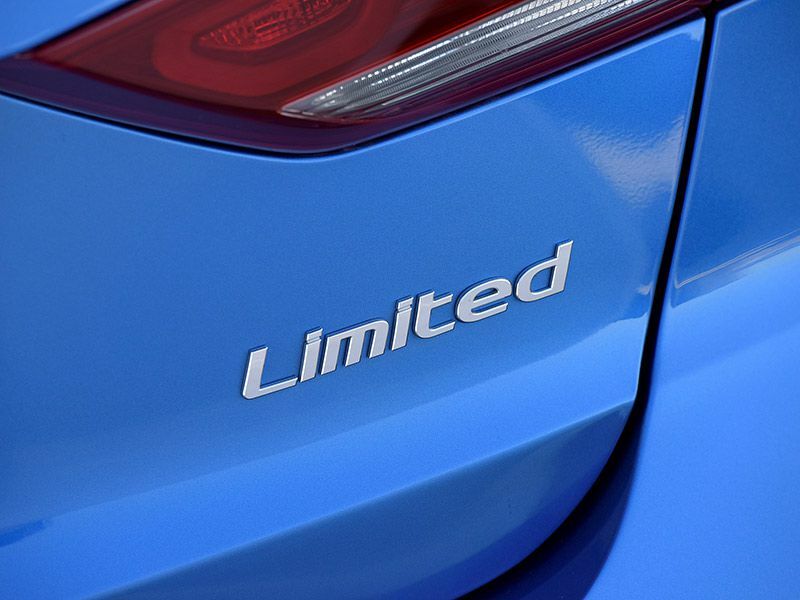 The Elantra Eco offers even less horsepower (128 to be exact), but it will accelerate from zero to 60 miles per hour in less than eight seconds, a decent performance that takes the worry out of merging from an on-ramp. 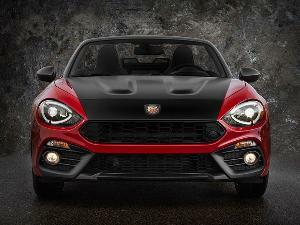 The Sport model adds power and revises the suspension for tauter handling responses. We know that size matters, but we have already gone over the size thing to its confusing conclusion. The Elantra sedan’s interior is expansive for the two front seat passengers. If you try to stuff three passengers in the rear seat, they will probably hate you for it. Even two adults might find it more confined than they'd like. 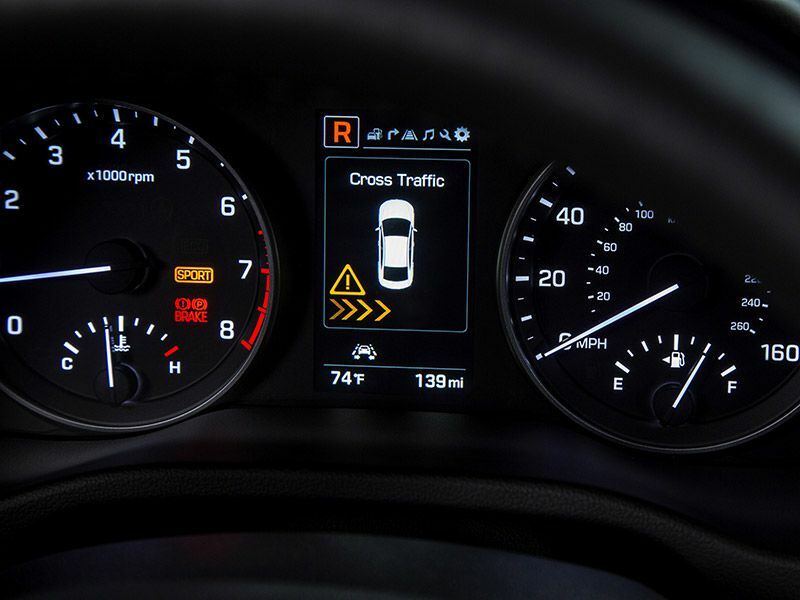 The car’s instrumentation is straightforward and conventional, and we mean that in a good way. The entire front cabin is understated and handsome. The 60/40 split-folding rear seatback accommodates odd-sized cargo. A tilt-and-telescopic steering column and a Bluetooth hands-free phone system with voice recognition are standard across all trim levels. Steering-wheel-mounted controls are optional on the lowest trim Elantra and standard across the rest of the line. Hyundai vehicles typically offer easy-to-understand and easy-to-use controls, and that finds its expression in the Elantra. An AM/FM/CD/MP3 audio system with four speakers is standard in the base SE model. All other trims add HD radio, SiriusXM satellite radio, and two more speakers, plus a 7-inch display and a rearview camera with dynamic guidance. The optional top-of-the-line audio, available only on the Limited trim, is an Infinity system with eight speakers including a center channel and subwoofer. An AVN 8-inch navigation system with a high-resolution touchscreen is additionally optional on the Limited. 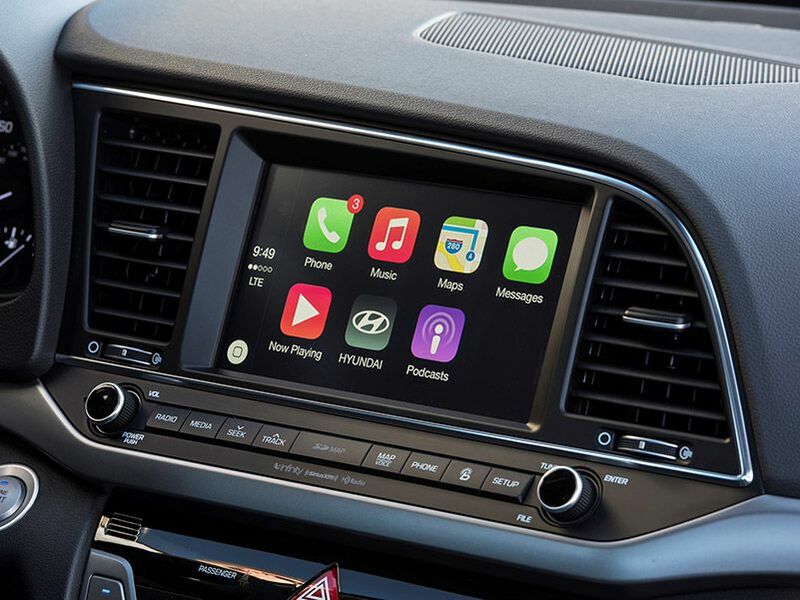 All but the SE’s infotainment systems support Android Auto and Apple CarPlay. Hyundai designers have brought the “four-door coupe” aesthetic to the Elantra sedan. It is a sleek design that gives the car an upscale look. Its relatively long wheelbase (106.3 inches) and trim overall length (179.9 inches) means the Elantra has short front and rear overhangs, making it look very contemporary and planted to the road. 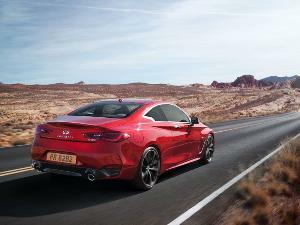 Its fastback roofline makes you almost expect it to be a hatchback, but it has a conventional trunk. In all but the SE trim the trunk can be opened hands-free, and the dual fold-away power side mirrors are heated. The design is also laudably aerodynamic with a 0.27 coefficient of drag. From most viewpoints, the Elantra is a substantial, understated design that could grace a more expensive vehicle. The Elantra name includes six different trim levels and the previously mentioned Elantra GT hatchback, which means the powertrain lineup can be a tad confusing. 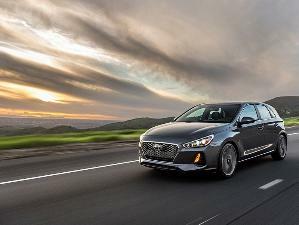 The base engine, found on most Elantra sedan trims, is a 2.0-liter Atkinson cycle four-cylinder that produces 147 peak horsepower and 132 pound-feet of peak torque. Both six-speed manual and six-speed automatics are available with this engine. 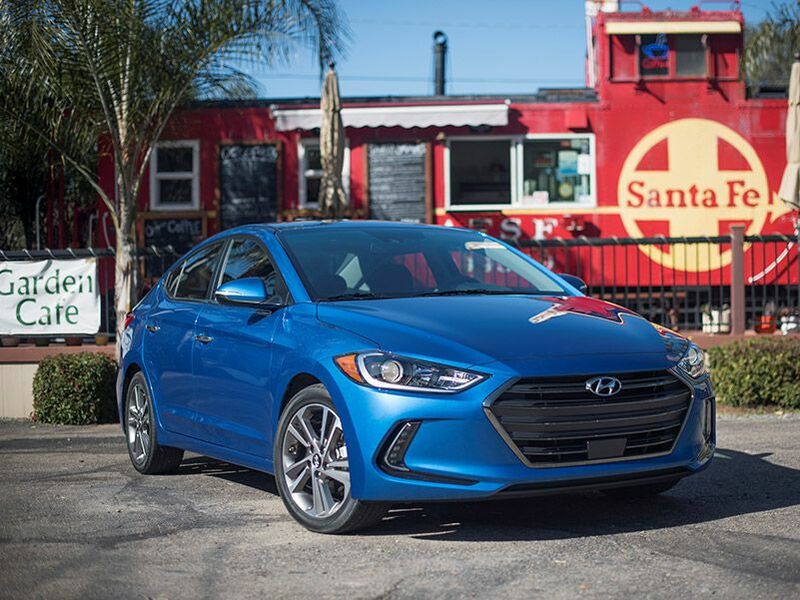 The Elantra Eco has a spunky 128-horsepower 1.4-liter turbocharged four-cylinder engine that punches above its weight class due to its beefy torque and seven-speed dual-clutch automatic that offers quick manual shifts. The Elantra Sport is powered by a 1.6-liter turbocharged four-cylinder that delivers 201 horsepower and 195 pound-feet of torque. It can be equipped with either a six-speed manual transmission or the seven-speed dual-clutch automatic with paddle shifters. The Elantra can be equipped with an impressive array of active safety features. The list includes blind-spot monitoring with a rear cross-traffic alert and lane-change assist; automatic emergency braking with pedestrian detection; lane-keeping assist; and smart cruise control. Seven standard airbags include a driver's knee airbag. 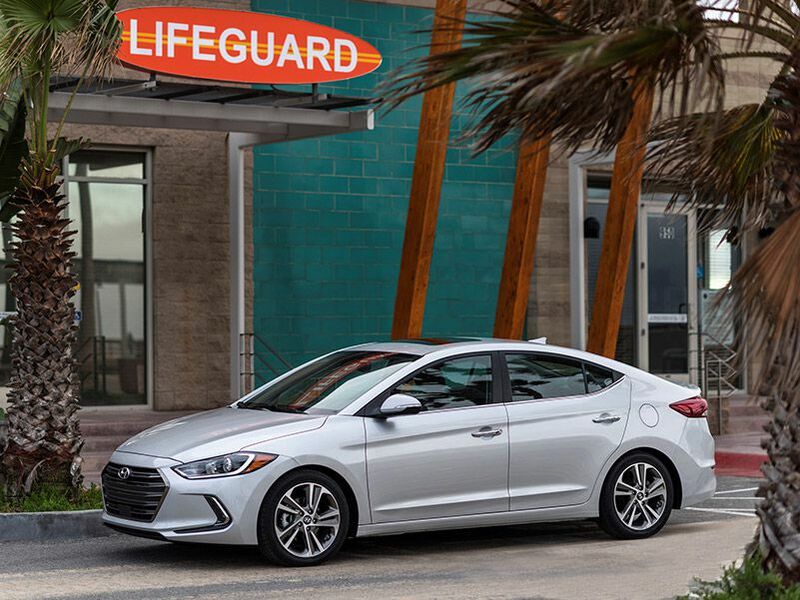 When equipped with all its optional safety tech, the Elantra has been named a Top Safety Pick+ by the Insurance Institute for Highway Safety, its highest rating. 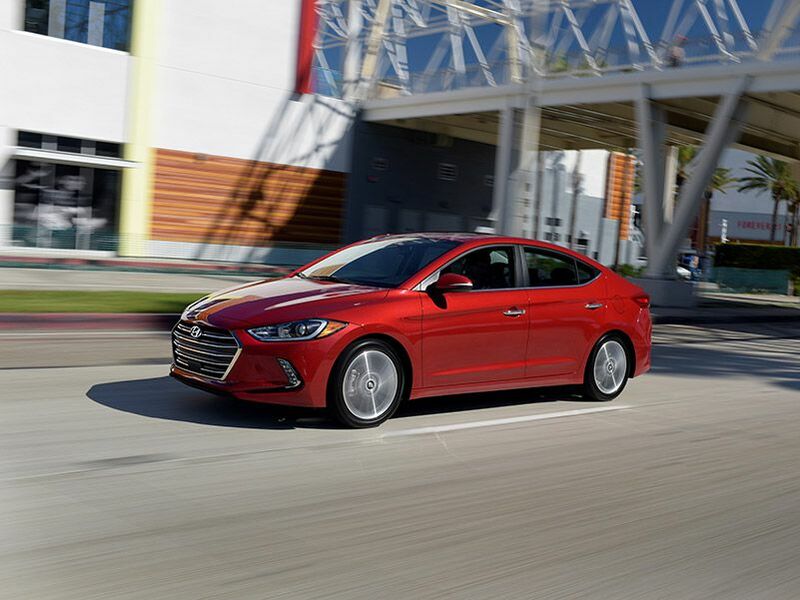 The Elantra sedan with 2.0-liter four-cylinder and six-speed automatic has EPA ratings of 28 mpg in the city, 37 mpg on the highway, and 32 mpg combined. The Elantra Eco, which is tuned for high mileage but also has off-the-line pop, delivers 32 mpg city/40 mpg highway/35 mpg combined. 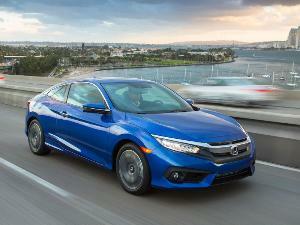 The Sport with the dual-clutch automatic gets 26 mpg city/33 mpg highway/29 mpg combined. As we said earlier, one of the Elantra's advantages is its bigger-than-expected size. 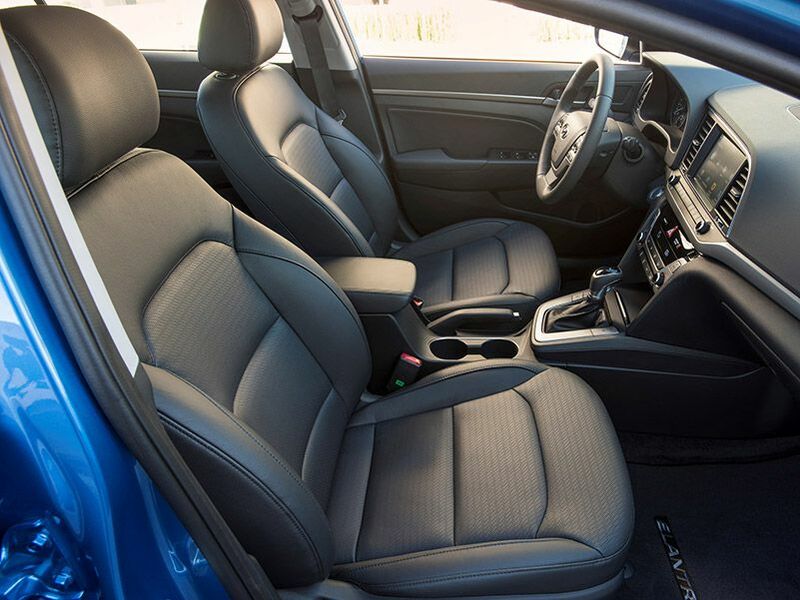 Its interior space and cargo area are a “class up,” and that has significant benefits, especially because the Elantra also offers praiseworthy fuel economy. The Elantra sedan offers 95.8 cubic feet of passenger space. That is accompanied by a truly sizable trunk that has 14.4 cubic feet of space. The folding rear setbacks and passthrough make the cargo hold even more accommodating. 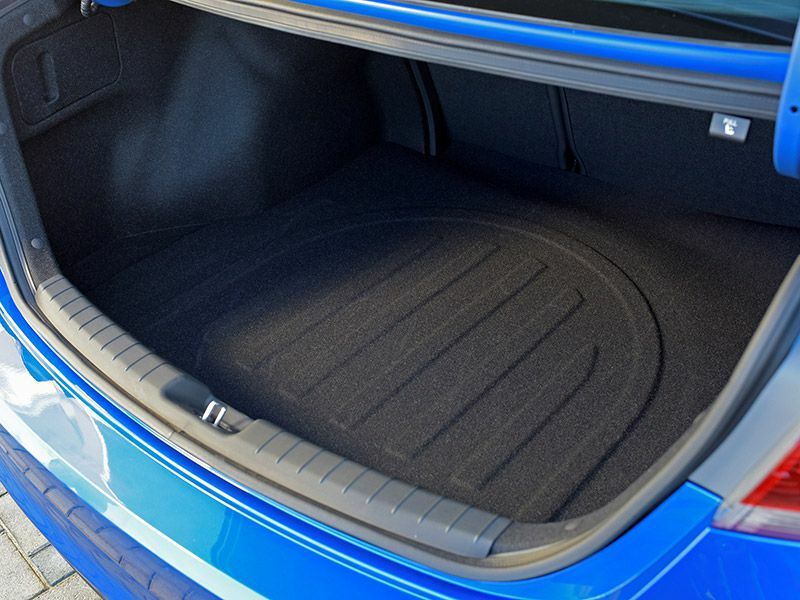 Cargo has to be loaded through the trunk opening, but on most models the trunk lid can be opened hands-free as you stand by the back of the car with the key in your pocket. With front-wheel drive and small-displacement four-cylinder engines, none of the Elantra trims are designed to do any medium- or heavy-duty towing. With a total of six different trims, the Elantra has a flavor that could well suit your palate. The SE is the entry-level model. The SEL adds equipment from the previous year’s popular equipment package, and the Value Edition trim takes the SEL up a notch or two. The top Limited trim “surrounds drivers with leather, advanced technology and class-leading safety features,” according to Hyundai. The more specialty trims are Eco, which hangs its hat on 35 mpg combined EPA rating for fuel economy, and Sport, which not only offers a 201-horsepower engine but also is equipped with a fully independent rear suspension for greater handling prowess. In essence, the Elantra gives you a lot to choose from, and you could well find your own hot buttons on that continuum. When you look at the Elantra’s pricing array, it is difficult not to be impressed by the value being offered. This is a high-quality vehicle with a top safety rating and midsize-car interior room, and it is being sold at compact-car prices. The base Elantra SE has an MSRP of $16,950 plus an $885 destination charge, which is also added to all the other trim levels. The SEL starts at $18,850; the Value Edition is another $1,000; the Eco costs $20,550; the Sport costs $22,900 with an automatic transmission; and the Limited starts at $22,100. 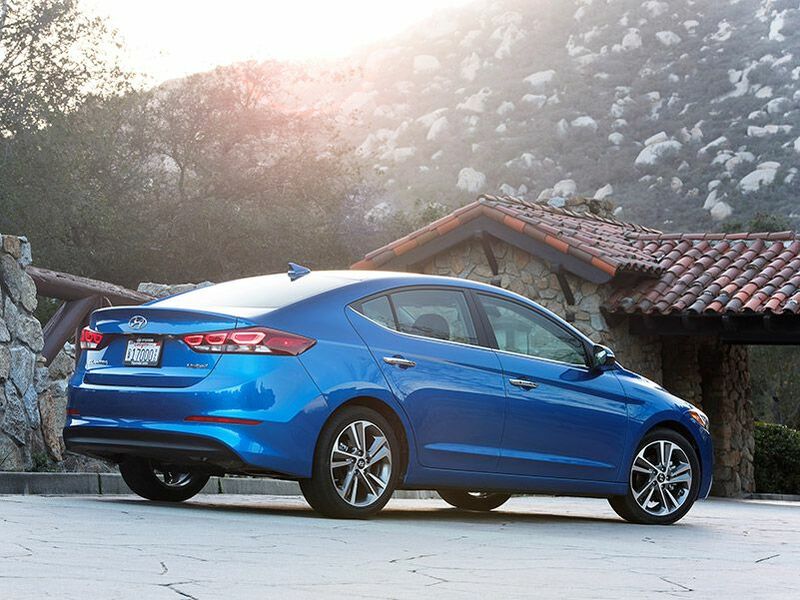 The Elantra is now in its sixth generation, and production is split between Alabama and South Korea.